…. unbelievably, me! 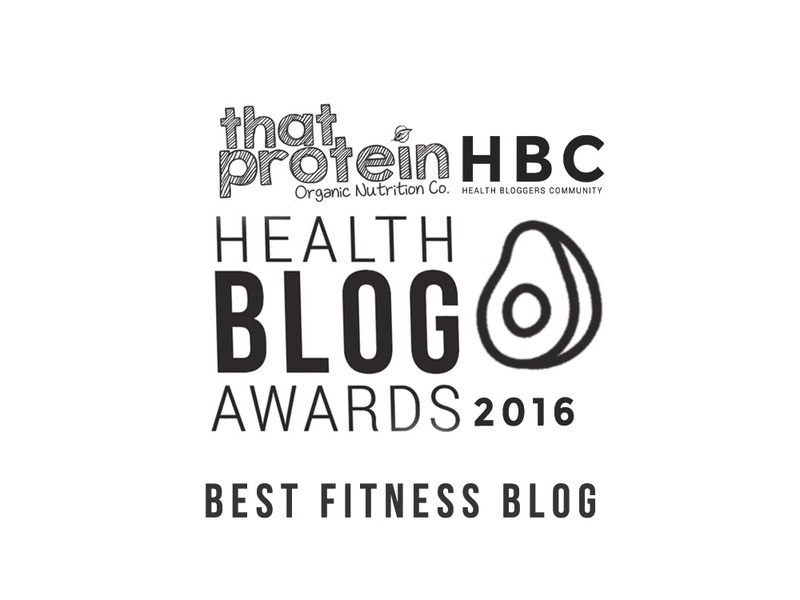 I am ecstatic to be able to tell you that you are now officially reading the Best Fitness Blog – as awarded last Friday at the That Protein Health Blog Awards 2016. Even over a week later, I still can’t quite believe it. Whilst I do work hard and put a lot of time into creating content for my Blog, it really is largely a labour of love – I write because I love it, and because I love having the chance to inform and inspire a wider audience with workout tips, healthy recipes, class and product reviews and sharing my own personal weight loss and fitness story. That in itself means the world to me, so to also win an award for Blogging really is a privilege. 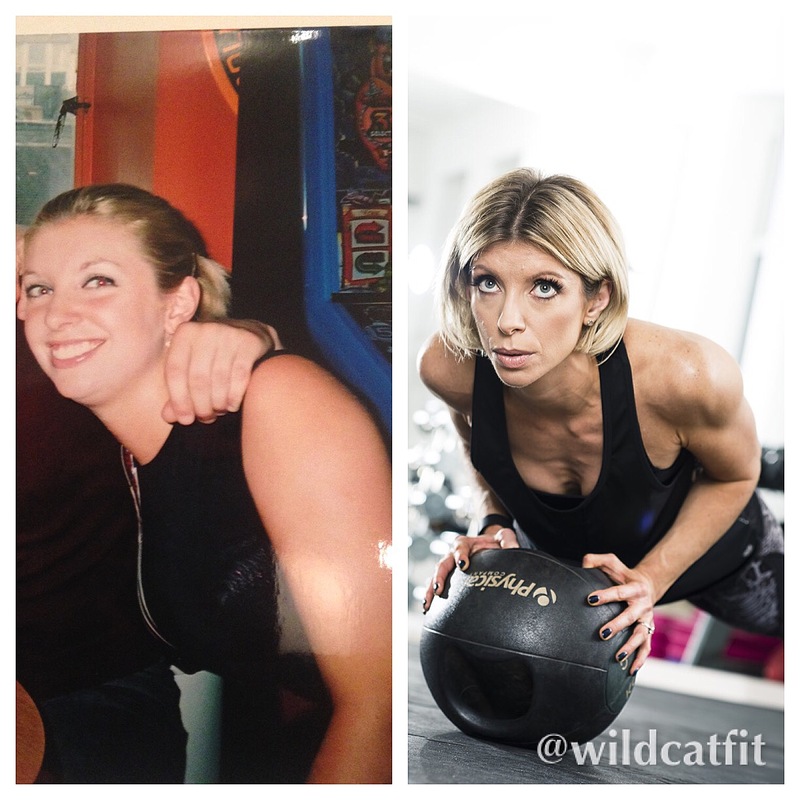 So why did I start the Wildcat Fitness Blog, and how much does winning Best Fitness Blog really mean to me? In the past 8 years I have lost over 3stone, dropped 4 dress sizes and gone from the girl hiding at the back in fitness classes to the girl at the front with the microphone. But it really hasn’t been easy and I’ve made so many mistakes along the way and I wanted people to know that – I wanted anyone struggling with their fitness or weight loss or diet or body image to know that we ALL feel that way sometimes, and to share my support for anyone working to become their best self. Even if one person comments on my posts, or messages me to say something I’ve written has struck a chord with them, then to me my blog has been a huge success. I didn’t start the Wildcat Fitness Blog to gain more social media followers, to become an influencer or so that I’d get sent loads of freebies. I started it to reach out to as many people as I can to tell them that they can do it, and that I want to support them and show them how. To have this chance is a gift. To win an award for it is unbelievable, and from the bottom of my heart I thank every single person who voted for me and to all the incredible judges (amazing Blogging inspiration in their own right) – Zanna Van Dijk, Hazel Wallace (aka The Food Medic) and Plant Based Pixie. To have my work recognised in this way means so, so much to me. I’ve often worried that I’m not the most popular Blogger or Instagrammer – many of my peers have tens even hundreds of thousands of followers and subscribers. I’m a lot older than the vast majority of my #fitspo #fitspiration and #fitstagrammer colleagues so I’m not as attractive to brands – who wants to see a West London wife in her mid 30’s flogging leggings or fronting a protein shake campaign?! I’m not ripped or tiny or even confident to wear shorts, let alone post candid shots of my body to my loyal followers, and regardless of whether or not these should be valid concerns, I have often wondered why I am doing this and trying to break into a world inhabited by those a lot cooler, younger and more popular than me. So winning this award in a way kind if says to me, you know what? You can actually do this. You do actually have a place at this table. People do actually care about what you have to say. 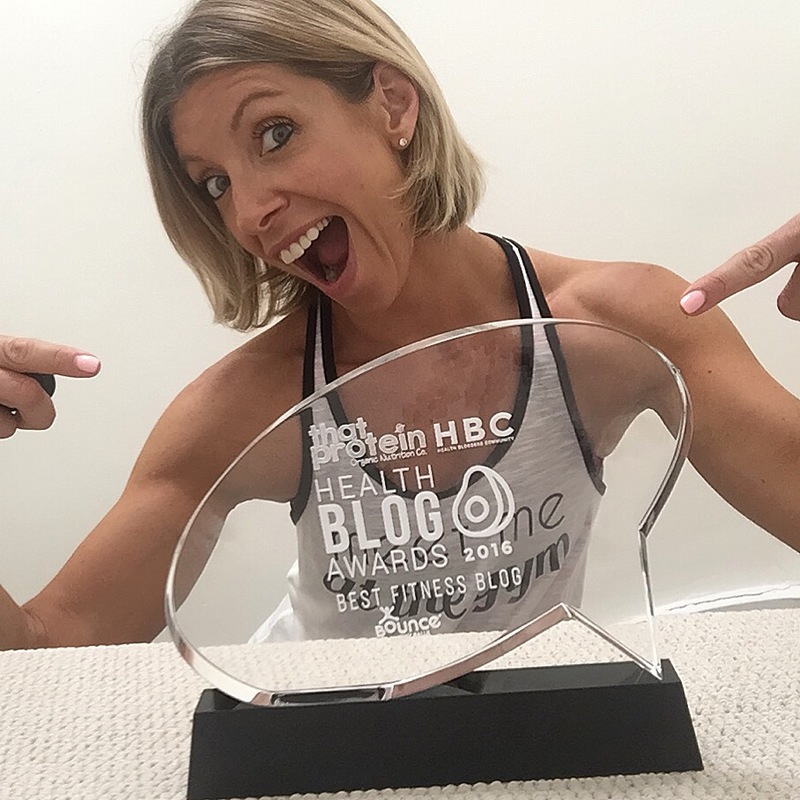 So whether you’ve been with me since the beginning or you’ve just discovered me as a result of winning the Health Blog Award I would like to say thank you very much for being a part of this. I started this Blog to support and inspire and share my years of fitness knowledge and experience and I am so grateful that people want to share the ride. If there’s anything that you would like to see on the Blog – more exercise tips, less recipes…. whatever it is – let me know. I can only truly be a part of your fitness story if I’m delivering posts that will help you take a step closer to your own personal goals, so please let me know how I can do that. Congratulations to all the other incredible winners – I strongly advise you check our their Blogs too – and raise a glass to all of us (green juice, obviously!) – the Health Blog Winners 2016! Congratulations! Was sorry not to have met you on the night. A lot of what you have said about registers with me too (don’t have hundreds of followers, and am in mid 30s! ), but I really don’t let that bother me. Its the reason why blogging is so important, it allows everyone to have their own voice regardless of all these other factors – and in the end hard work, determination, and having a knowledged voice that everyone can look up to is just as important (or so I tell myself!). Well done!